The Beresini family spans 4 generations, including 6 children, 9 grandchildren, assorted siblings, cousins, nieces, nephews, and, of course, Grandpa Beresini. Steve Beresini moved to Napa from Woodside, California in 1969. 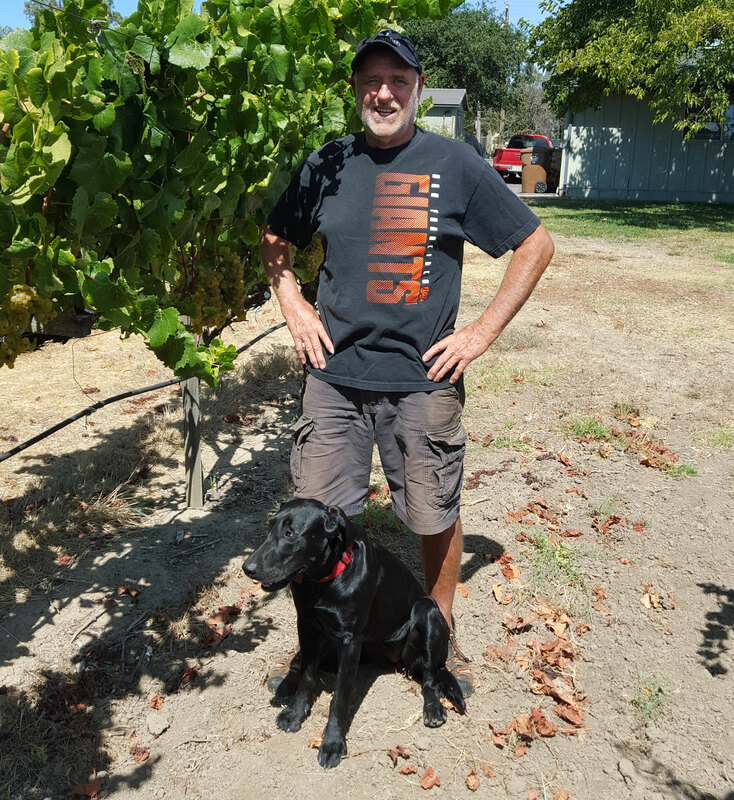 Frank Cadenasso, local winemaker, mentored Steve as he planted his first vineyard of 11 acres in Napa County in 1970 which Steve managed for a private owner; these grapes were sold to Stags Leap. From 1975 through 1977, Steve managed 50 acres for another private owner whose grapes were sold to Joseph Phelps Winery. Steve started at Phelps in 1977 as a cellar worker, and left in 1981 to become the Assistant Winemaker at Niebaum Coppola. From 1983 to 1991 Steve was the head winemaker at Niebaum Coppola under the tutelage of André Tchelistcheff. André Tchelistcheff is most notable for his contributions defining the style of California wines. He is often called the “Maestro” and many wine industry pioneers, including Steve Beresini, considered him their mentor. As a testament to his contributions to the wine industry and his love of wine, a statue of Andre can be seen at Beaulieu Vineyards (BV) Winery in Napa. In 1991, Steve left Niebaum Coppola to become the Cellar Master at Grgich Hills, and from 2001 through 2005 he worked at Garvey Vineyard Management handling vineyard operations. In 1988 Steve planted six acres of grapes on his own property in Carneros, Napa Valley; four acres of Chardonnay and two acres of Pinot Noir. In 2010, Steve leased an adjoining Pinot Noir vineyard which he also manages. Steve sold the Chardonnay and Pinot Noir grapes to Macrostie Winery for 16 years. Following Macrostie, the Beresini Chardonnay grapes were sold to Staglin Family Vineyards and Tor Kenward Family Wines. As of the 2014 harvest, Tor Kenward Family Wines is the exclusive buyer of the Beresini Chardonnay grapes. A little over one acre of the Pinot Noir grapes were sold to other wineries through 2014. Now all of the Pinot Noir grapes are used exclusively for the Beresini Pinot Noir. Debra Beresini has been working with the family business for over 13 years. With her background in venture capital, banking and emerging companies, her skills are a good complement to Steve’s skills. In 2013, she was named one of the “100 Most Influential Women in Silicon Valley” by the Silicon Valley Business Journal. 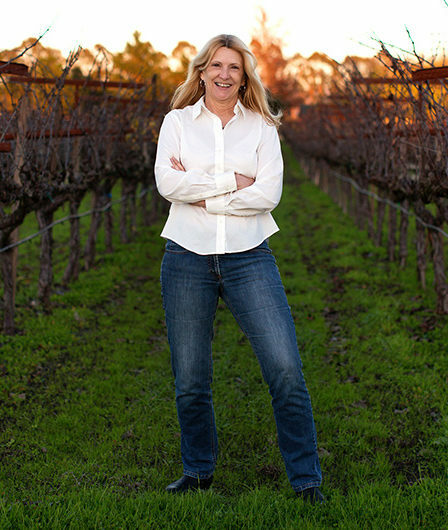 Debra is responsible for all operational aspects of Black Dog Ranch including sales and marketing. In 2011, the Beresini’s began producing Pinot Noir under the Beresini Vineyard’s label. The first bottling of 160 cases of the 2011 Beresini Pinot is sold out. The 2012 and the 2013 Beresini Pinot Noir vintages have been released and are currently being sold to high-end restaurants, and wine shops in Northern California and online at beresinivineyards.com. The 2014 Beresini Pinot Noir will be released by the end of 2017.